All About Sports Cards: Everything is bigger in Texas, including the NFL Experience and Topps exclusive Super Bowl Cards and giveaways. 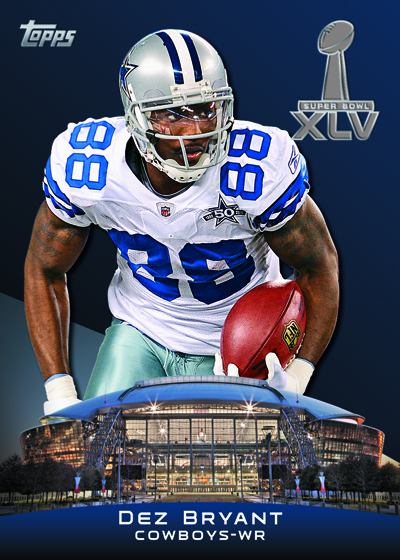 Everything is bigger in Texas, including the NFL Experience and Topps exclusive Super Bowl Cards and giveaways. Right now inside the Dallas Convention Center hundreds of workers are transforming five exhibition halls into the biggest NFL Experience in its 19-year history. 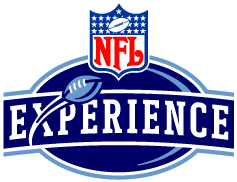 While most of the events surrounding the Super Bowl are expensive and “Adult only” themed, the NFL Experience is a family affair. And at $25 a ticket for adults, $20 for those 12 and under, it's also affordable. It sounds like a whole lot of fun, Maybe even worth a trip out to Dallas just for the cards. You can visit the Topps booth at the NFL Experience through Sunday 2/6. I'll just wait for the cards to hit eBay and avoid the crowds in Dallas. That is a cool move on Topps' behalf though. I don't know if this is anything like baseball's All-Star Fan Fest, but if it is, I highly recommend going. We went to the AFF in NYC in 2008 and had a great time (even the wife who isn't into baseball.